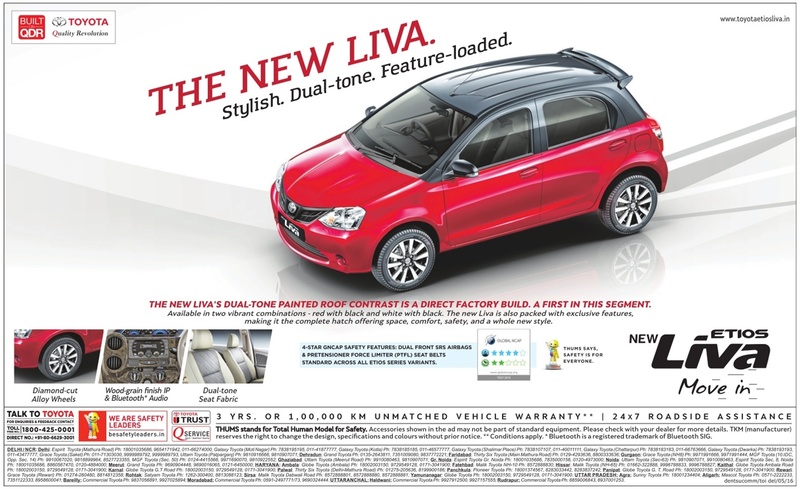 The new Liva's dual tone painted roof contrast is a direct factory build. A First in this segment. The new Etios Liva Move in. 3 years or 1,00,000 km unmatched vehicle warranty** | 24*7 road side assistance. This offer valid all over India including all metro cities: Bangalore, Hyderabad, Mumbai, Delhi, Chennai, Kolkata, Pune, Ahmadabad, Lucknow and Jaipur. Conditions apply.